Seven days from now I guess we find out if we’re going to the Land of Cotton to find out more about my—and America’s culinary roots. As we rev up and make plans we want to give everybody a rush of blog posts to get any last minute “deciders” and “funders” an idea of what we’re really doing with the money we raise. Bottom line: We’re telling stories—old stories anew and new stories nobody’s heard before about what enslaved people gave to American food and how my Ancestors fit into that story. The moment that someone declares that everything there has to be done or learned has been done or learned, that’s when we get a ton of new important information about a topic—and to me this is more than a topic—its more than trivial—it’s my heritage, it’s my tradition, it’s where I come from. in regular meals. Unlike Northern Europeans, West and Central Africans had a climate that supported a continuous variety of edible greens from both cultivated and wild plants. Amaranth, celosia, inine (African spinach), and the leaves of cowpeas, cassava, okra, sweet potatoes, and other vegetables helped make up the 30-60 edible leaves prepared during the age of the slave trade. Long before America there were varieties of plants botanically cognate to chenopodiums and phytolacca (read lambs quarter and poke) in West Africa. Often referred to as “relish,” these African greens were made into a sauce to be eaten with rice, fufu or millet and some groups associated them with sacred medicine and vitality. At some point in the Middle Ages, cabbages and turnips diffused south to what is now Mali from Morocco to feed Moroccan salt traders and scholars visiting Timbuktu. While the first generation arrival of these plants was not said to spread out of the Moroccan quarter, these vegetables are still grown in the Sahel today as valuable market crops. As early slave forts sprung up via the Portuguese trade, so did gardens to supply their dietary needs. Cabbages and turnips enjoyed only measured success and usually depended on microclimate conditions that allowed for cooler breezes and night temperatures. Kale and colewort (get it? 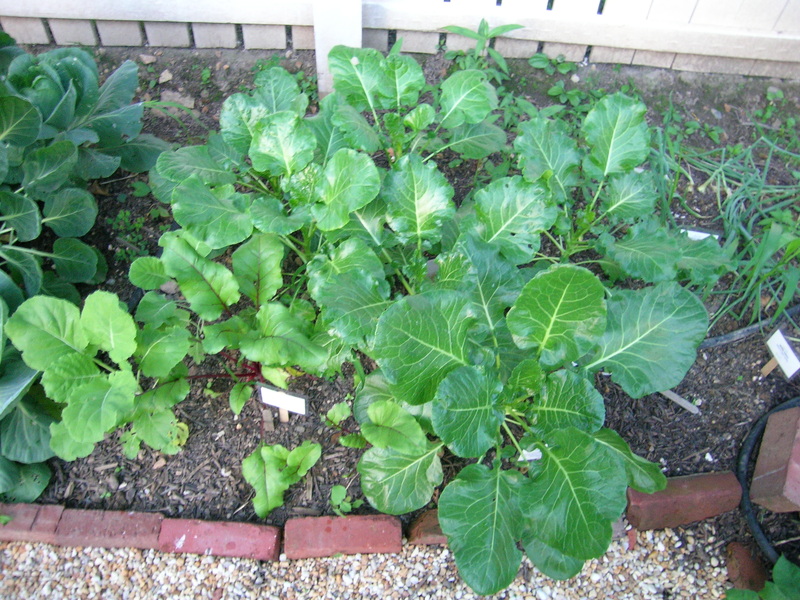 “collard” comes from colewort —chou vert/couve/cole) were frequently mentioned in letters and records of slave forts and their gardens. You better believe these seeds and plants left the shelter of the forts and began making their way into the interior of what is now Ghana, Angola, Senegal and Nigeria. Meanwhile African culture was happily eating greens gathered from the wild, the garden and from trees. In Chinua Achebe’s classic novel of the pre-colonial Igbo world, Things Fall Apart, Ezinma, the charmed daughter of the main character, Okonkwo prepares “green vegetable” with her mother, noting a folktale where the greens shrink down and cause a catastrophe as a cautionary tale to pick as many greens as are necessary to feed one’s guests. African and European tastes converged with greens “seasoned” with a bit of meat or salt fish and highly peppered merged with Portuguese caldo verde (greens soup, traditionally seasoned with linguica—or Portuguese cured meat/sausage) and later obtained the spiky taste of the capsicums—the New World “peppers.” At least one reference refers to Africans adopting the European’s “cabbage soup,” noting that the elites enjoyed more meat with it and that it was highly seasoned with hot peppers. In Brazil, couve or collards are a staple in the Black diet, and are a classic accompaniment to feijoada, the national dish of Brazil…a blend of African, European and Amerindian influences all under the umbrella of Afro-Brazilian spirituality…since it is a favorite dish of Ogum/Ogun, the Orisha of iron, war and meat. Should be boiled in every respect like turnip salad, served warm with bacon, and seasoned at table with salt, pepper, and vinegar. All kinds of salad should b thoroughly washed in two waters, otherwise it will be gritty. Remember that ritual your mother used to do of washing and cutting the greens? That’s ancient stuff. The variety you see in the picture above is my personal favorite, Green Glaze. They are pretty, waxy, crisp, tough against bugs and extremely delicious. 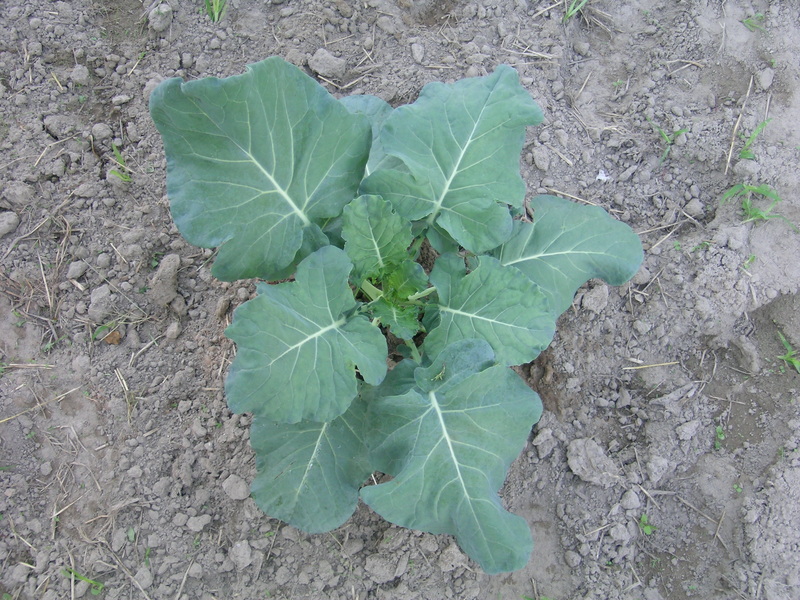 They also happen to be the oldest variety we have/know of collard green dating back to the late 18th and early 19th centuries, with the Georgia Southern or Creole collard out of the Deep South going back to the 1860s-1880s.